1,348 people read this post. 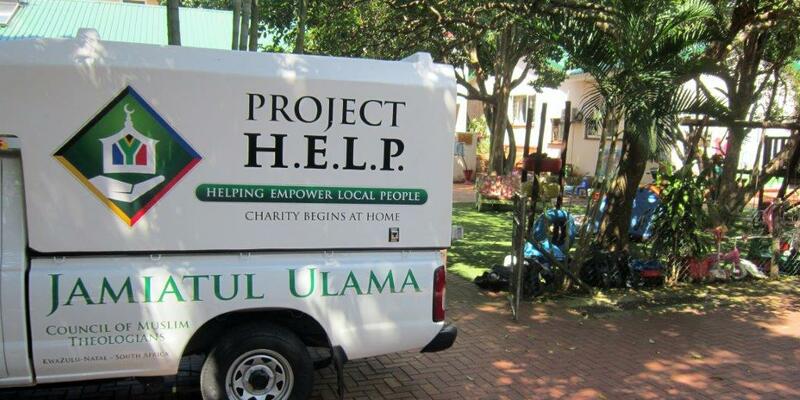 The Jamiat KZN PROJECT H.E.L.P. 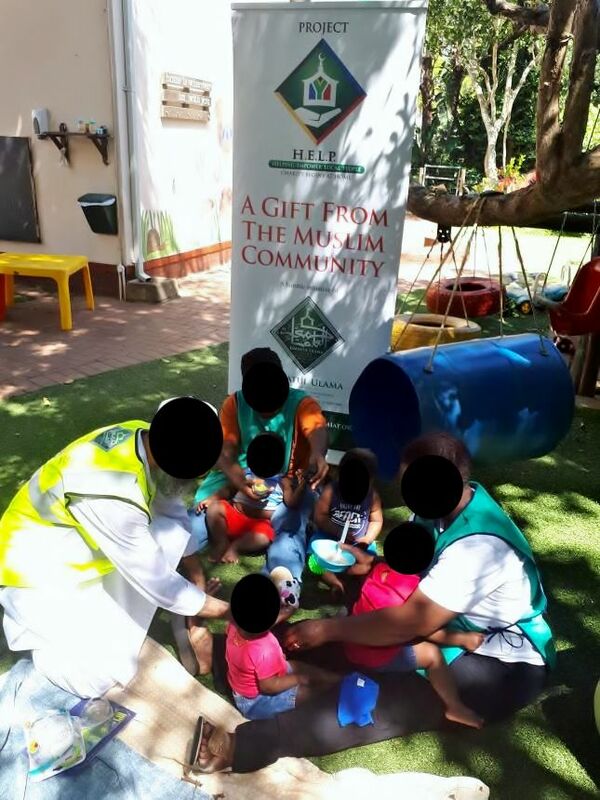 relief team in its continuous attempts to assist the underprivileged discovered a babies home near Cator Manor called iThemba Lethu. 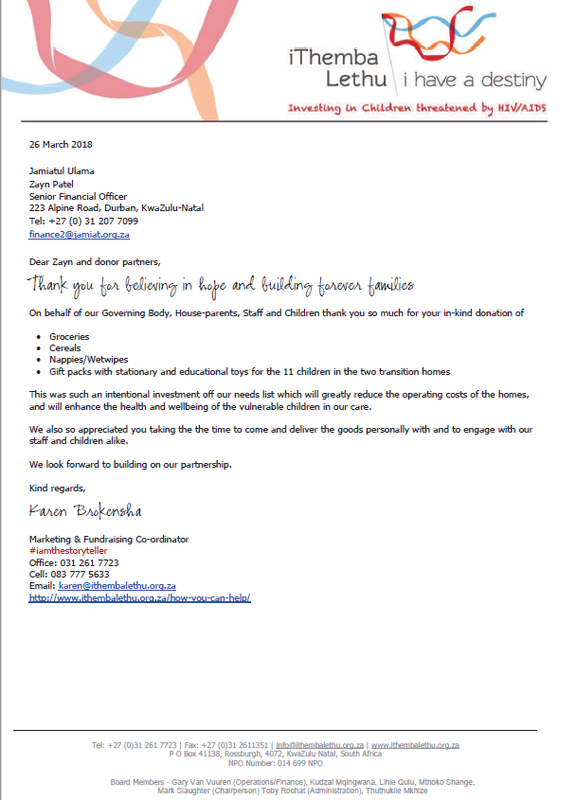 They are a local Durban based NGO that manage two transition babies homes committed to caring for orphaned, abandoned or vulnerable (physically, emotionally or sexually abused) babies aged new-born to 3 years old from disadvantaged indigenous communities within the Cator Manor area. 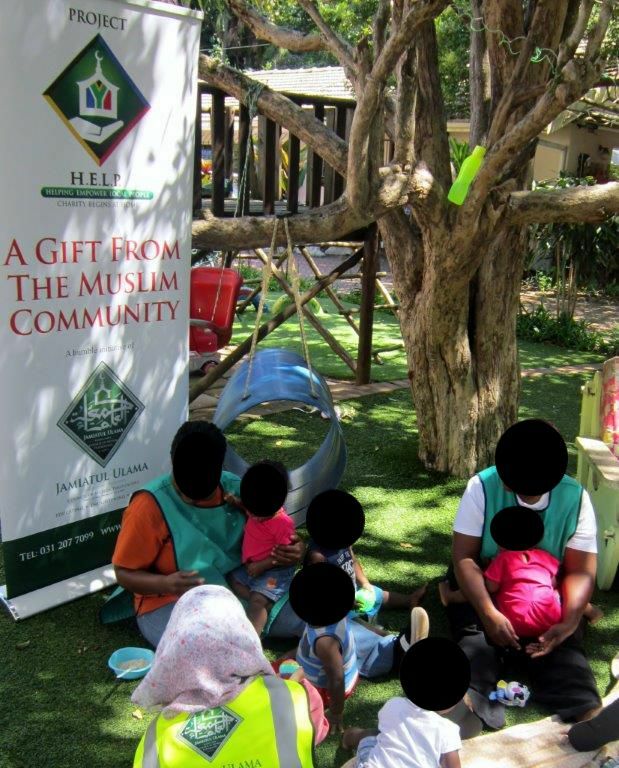 The babies are placed in their care by various social welfare offices in and around Durban. Their role and purpose is to facilitate their reunification or adoption, back into their immediate/extended biological family or new families respectively. 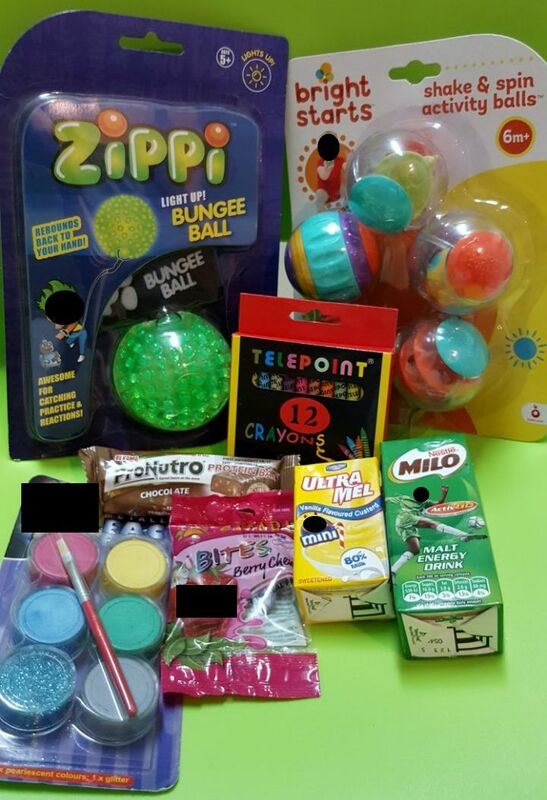 With the assistance of volunteers, the gift packs were handed to each child personally whilst interacting with them to show them some love and attention. This interaction and love is what the children need most. 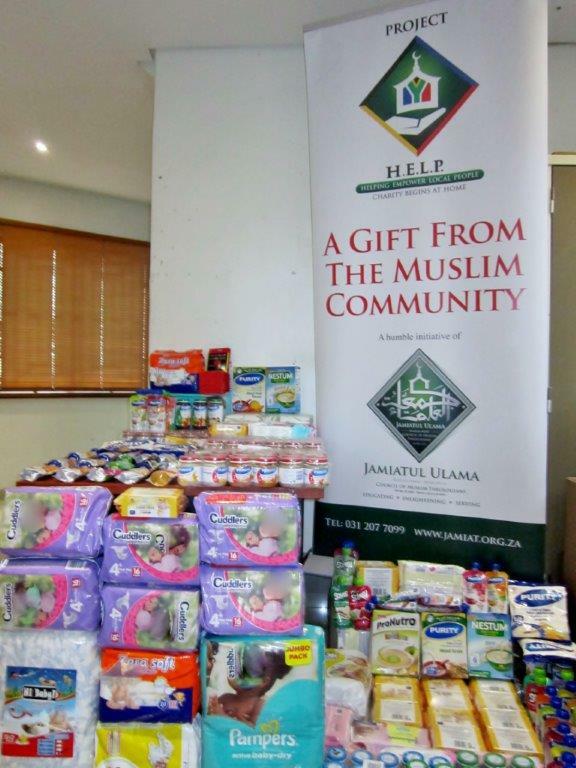 May Allah Ta’ala use our humble efforts as a means of attracting them towards Islam and may He accept the contributions of our donors and the efforts of all involved, Aameen.